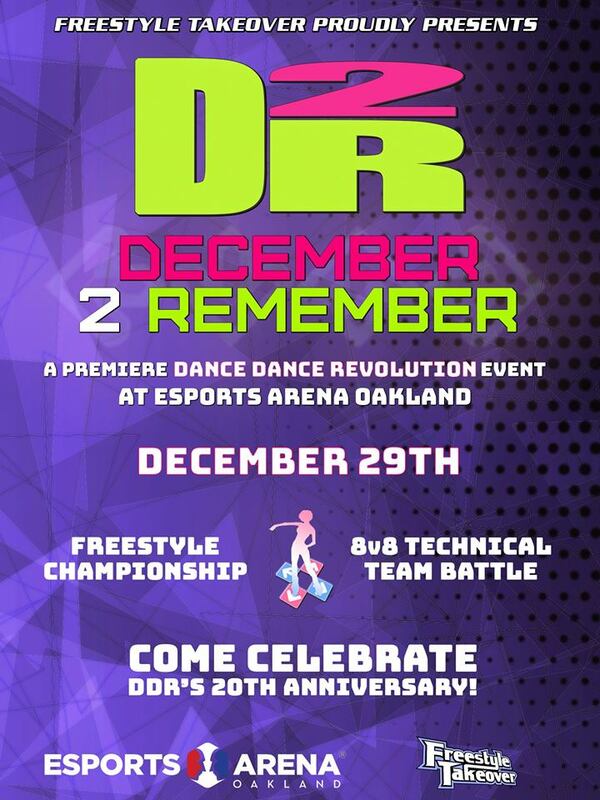 We’ll be making next month a DECEMBER 2 REMEMBER on with a premiere DDR Freestyle championship showdown and 8-on-8 technical team battle at Esports Arena Oakland! This will be a 20th anniversary celebration of the game we love and a huge opportunity for the DDR community to showcase its very best players. Details/mixes forthcoming but you are not going to want to miss this!